This is a tough blog to write. Not because I’m about to be very honest. Being honest is practically my personal calling card. The reason it’s tough to write is because a lot of my friends are Christians. And in my opinion there is no group tougher to be vulnerable and honest in front of than Christians. How sad a statement is that???? I don’t like church. I don’t like the business of church…money counting, pastor paying, decisions made in a vacuum of “leadership” where egos run rampant. I don’t like the show of church…large stages, musical numbers, greeters in the foyer who’s job it is to make me feel like I have a “friend”. I don’t like the message of church…have some kids and we’ll serve you, give some money and we’ll serve you, buy our watered down message and we’ll let you belong here. I don’t like the structure of church…people in power over people not in power, men over women, teenagers as the most served demographic in order to keep their parents sucked in. As a kid I loved church. Well…let me revise that. I loved the people at church. There were old people who loved me and would ask me to come sit with them. There were other kids to play with. There were other families that we would sometimes eat lunch or dinner with. So I guess even then I was into the Church much more than I was into church. 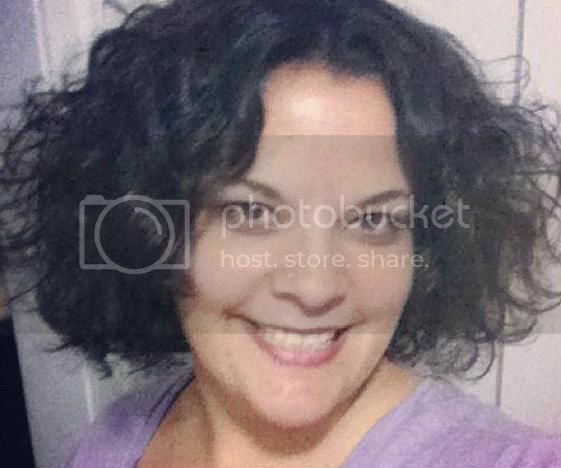 So here I am…trying to build a life in a new city. For the first 35 years of my life I’ve always made my friends by going to church. It’s like a ready made relationship factory because “We are alike in our lack of alikeness with the rest of them” (pointing out at the world). Herein lies the problem…I actually like “THEM”. I admire some of the THEM. I respect many of THEM. I appreciate the honestly and lack of show that THEY live out. And before you make excuses for me by saying “Oh well she has been burned and just needs some time for healing.” NOPE. Well…yes…I’ve been burned. But I’ve been burned in my family and yet I go back for more of that on a regular basis. I’ve been burned at work and I still go to work every morning. I’ve been burned by the economy and still buy stuff at the store. So sure..church has “burned” me but that’s not the reason I can’t work up any interest in finding a new church. The real reason is that I prefer relationship to ritual. I prefer honestly to facade. I prefer dirty faces to bright shiny faces all in their places. I prefer actual difficult conversation to saying “no no, it’s fine.” I prefer the use of the gifts given to all of us by God to someone telling me my place. What I do love is The Church. The one Jesus started. Branches hanging off the vine. Thumbs, livers, and butts on the body of Christ (everyone wants to be hands, feet, and mouths). The one that is full of these same people but without their structures, security, and shine. I love people who discuss doubts, difficulties, and share joys and blessings. I love people who ask the difficult questions…the ones most of us keep in our head for fear of screwing up the plan or causing a ruffle at church. I love The Church that doesn’t sit in rows staring at the back of each others heads, watching only the male half do something, and then shake hands and walk to cars to go back to lives that don’t add up with what was just done for an hour. I love The Church who drinks a cup of coffee, has some lunch, meets for a beer and shares life and living and death and dying. I love The Church…and so does the Groom. Now…to just find that again in this new place. Fact #1–In July of 2009 the makers of Skittles changed the ingredients (shellac, gellatin, &amp; the dye used for the red skittles) so that they are now a vegan food. Fact #3–Today I was given some assignments with a very short timeline and very little explanation. I was also told that our CEO has heard that I’m good with clients and wants me in front of ours right away. That all sounds great until you include the part where I don’t know much about our systems yet and need more time to get up to speed. Today at work my mind was racing at warp speed and the internal chatter volume was maxed out. I was thinking about fact #3, as well as all the move related stuff that needs to be taken care of. I was struggling to concentrate but managed to do so by putting on my headphones loudly and drowning out the “noise”. I was so “whirly” that I forgot to stop to eat lunch or go out for fresh air. Somewhere around 3:30 I crashed. My mind caught up with itself and I felt like I was falling fast (something that I haven’t experienced in a while…but is a normal occurrence when I’m being challenged creatively or emotionally). So I went for a little walk and when I got back I got some green tea and went by Linc’s office. Linc is our VP of Product Developement and is a super-intelligent and seemingly kind-hearted man. And The Viking let me in on a secret about him. Linc always has candy. “Linc, I need candy or I might die,” I say matter-of-factly as I begin to rifle through the candy jar on his desk. “HOW DID YOU KNOW?” I say almost shrilly with one eyebrow raised as I take the Skittles from him. I laughed and told him he’d figured me out. 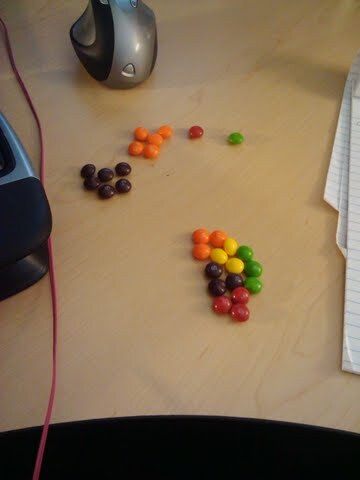 Then backed out of his office with my Skittles and walked quickly back to my desk for sorting. Step Two–Make one pile of candies that has an equal number of each color. The other pile is all the others. Step Three–Randomly mix and eat the flavors from the “discard” pile while you continue on to Step 4. 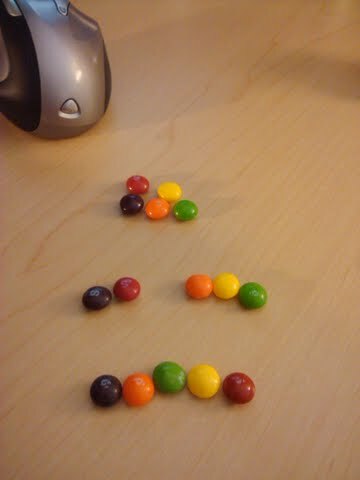 Step Four–Organize 3 distinct lines of Skittles to be eaten in a specific order. (Note: The minimum # of lines is 3 but can go up from there based on equal #s of each color.) The below lines are eaten as follows: (1) Skittles in bottom line are eaten one at a time to taste each flabor; (2) Skittles in middle line are eaten is specific combinations of citrus and berry; and (3) Skittles in top line are eaten all at once “Taste the Rainbow” style. Step Five–All of this organization and effort, as well as the sugar, has generally given my mind time to calm down and get itself neatly back in order. Continue on to good decision making and improved productivity levels. Never ever ever let a Skittle Sorter bring Skittles into a movie. They will distract you by repeatedly tipping their hand toward the screen in an attempt to get enough light on the candy to make good combination choices. Skittles are also a very bad road trip idea if the person DRIVING is a Skittles sorter. The only solution is for you to let them use your hands and for you to do what they say. Do not try to mess with the flavor combinations and patterns. You WILL be sorry. This same thing will happen with other candies…such as Smarties, Runts, Gummie Bears, etc. 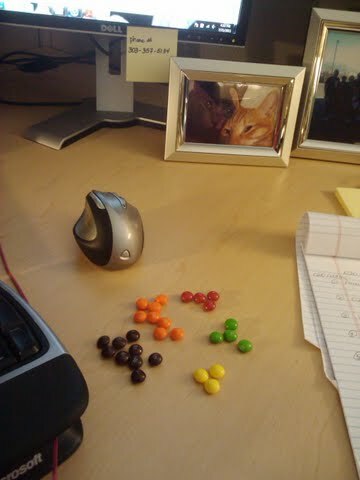 M&amp;Ms can be sorted but only by color…not flavor combination and are therefore not as relaxing.